The next time you’re patting yourself on the back because you’re such an ace on the tennis court, think about David Williams and eat a little humble pie. David is the #1 ranked A Division player in the United States in both singles and doubles, and he hasn’t lost a single match since April, 2009. The only difference is – he’s doing it all from a wheelchair. David was always athletic but when he was 14, he was afflicted with Transverse Myelitis – a rare spinal cord virus that pauses paralysis. 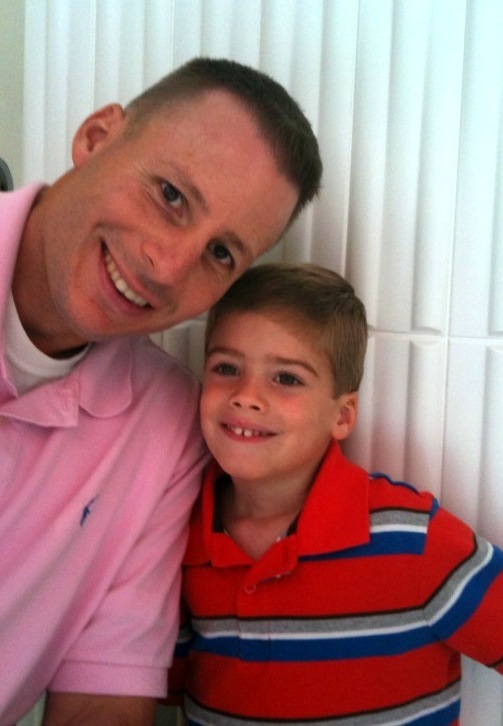 He rode his bike home from basketball practice because his legs were feeling a little numb, and within an hour he was totally paralyzed from the neck down. Fortunately, he regained mobility in his upper body and some feeling in his lower limbs, but he has been in a wheelchair ever since. Being an athlete and “a little driven” (that’s a big understatement), David fought his way back to play wheelchair basketball but when he was 17, his team folded. 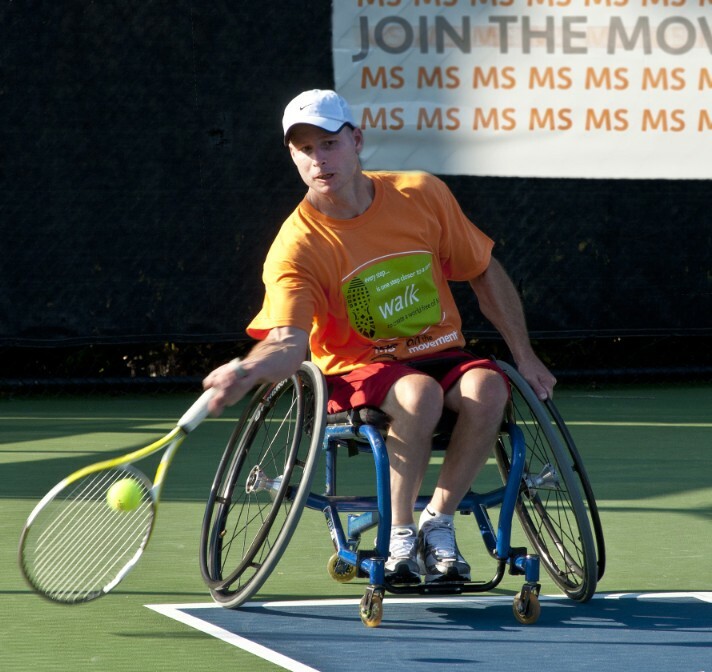 His mom heard about wheelchair tennis and made him try it (yay, Mom!). David instantly fell in love with the sport, and he has been tearing up the courts ever since. In 23 years of competing, Williams has won over 60 singles and 50 doubles titles, earned a full scholarship to college in the sport, and been ranked #29 in the world. What a ride! To keep in shape for all that on-court action, David does 100 push-ups and 200 sit-ups a day (just like me!) 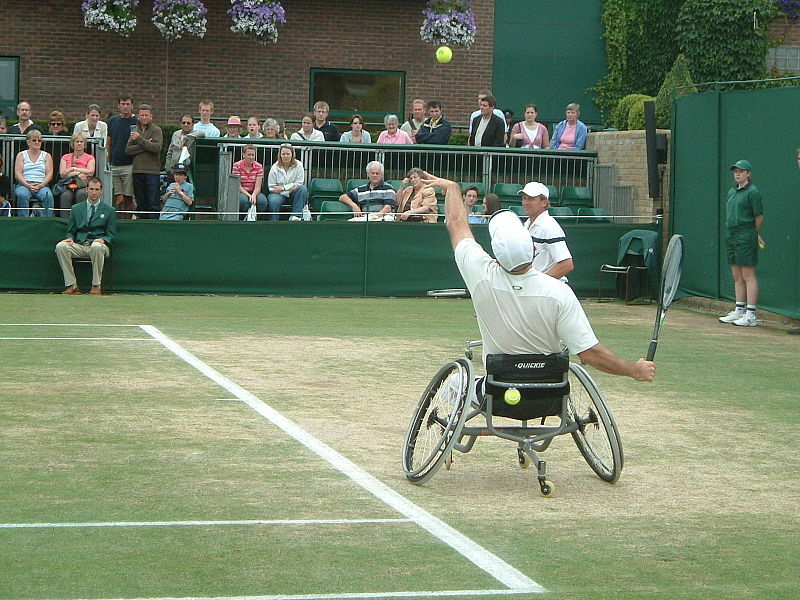 and pushes 2-3 miles up hills in his chair, as well as hitting strokes and serves. When he’s off court, he’s working full-time in Atlanta as a medical sales rep and running after his 4-year old son Eli. Playing, training, juggling a family, and working full-time is a lot to handle, and all that travel to tournaments can get mighty expensive. So when a friend of mine asked me to donate $100 to help David buy an Air Tran ticket from Atlanta to St. Louis for the U.S. Open USTA championship on September 1-5, I jumped at the chance. I always like to back a winner! My favorite airline ever: cheap, fast, good! 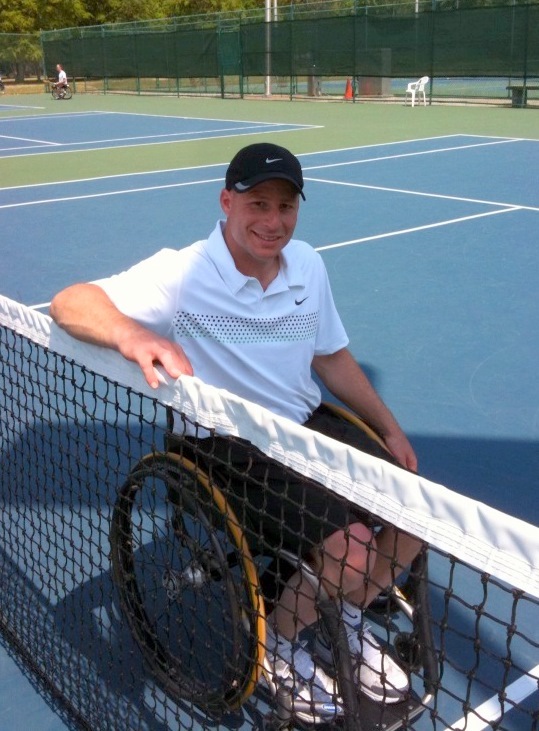 I’d never heard of wheelchair tennis either — and it was so incredible going online and watching these athletes from all over the world compete! The great thing about wheelchair tennis is that any court is accessible for play, and it only takes one other person (or a ball machine) — so unlike the big team sports that take 10-12 people to get together, this is so much easier to organize for the wheelchair bound. And man, can they hit! I just love sharing stories like this!! I’d never heard of wheelchair tennis, but judging from that video, it seems to be every bit as grueling as the version we’re all familiar with. My arms got tired just watching. As your blog reminds us on a daily basis, there are so many amazing people doing such incredible things all over the world. Why does our culture insist on lavishing attention on the same handful of celebrities and their trivial interests and often destructive behavior? I think your focus is exactly right.